One dark moonlit night, a young boy named Kutaro was carried away by the maleficent Moon Bear King to a black castle where the unlucky lad was transformed into a puppet. Kutaro displeased the terrible tyrant, who devoured the boy's wooden head and cast away his body. But the headless hero was not alone, for he had discovered a very special pair of scissors to help him on his harrowing adventure to find his head, and his way home. 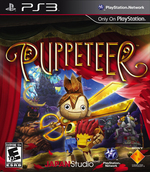 Puppeteer is Sony's best pure platformer on the PS3, delivering the kind of tight mechanics and pin-point controls usually only found in games starring plumbers or apes. With presentation that sets this Sony Japan Studio effort apart from everything that's come before it, it's only some overindulgent storytelling and samey boss battles that prevent this theatrical adventure from being an instant classic. 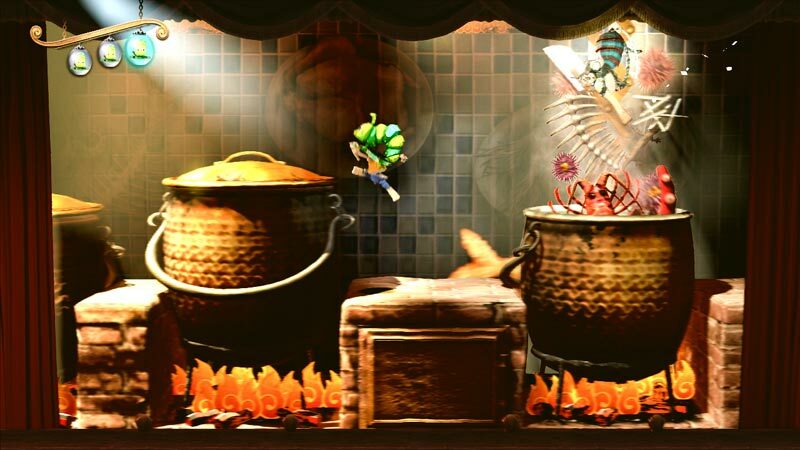 Despite a few setbacks, Puppeteer features all the entertainment and creativity I've come to expect from Japan Studio. Sony has another exclusive title it can be proud of, and while Puppeteer may not take center stage in the company's holiday lineup, fans of family-friendly adventures won't want to miss it. 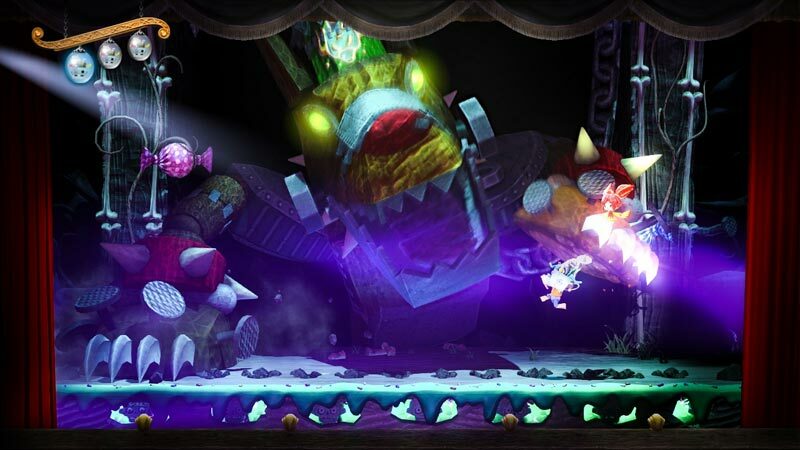 With multiple acts full of robust stages, unlockable picture books, tons of collectable heads and bonus levels, it’s a substantial platformer that commands attention with unique gameplay mechanics and clever level design. While the story is too hyperactive for its own good and the narration is constantly distracting, the dialogue that’s heard can be quite charming and even hilarious at times. Another winner for JapanStudio, Puppeteer is a strong addition to Sony’s increasingly impressive stable of first-party franchises. It's pretty, the voice acting is entertainingly good, the characters are fantastically inventive, and animations are either unique or hilarious. You can tell that really wonderfully inspired design went into this thing - it's aesthetically uniform. 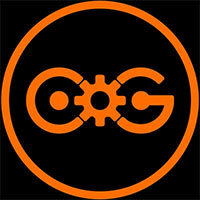 When you're talking about making a game from concept to execution, with a unified vision, this is as good as it gets. 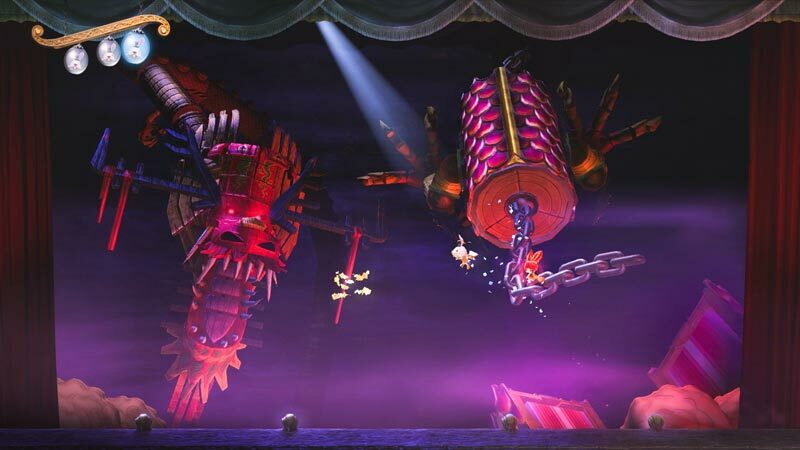 The stage design rapidly changes from level to level - and even within levels - with varied and enjoyable music and characters. Every single detail is masterfully crafted, and the absolutely solid platforming gameplay very rarely gets its strings tangled. Kutaro's marvellous journey is packed with characters that are anything but wooden, and a narrative that's both self-aware and effortlessly charming, resulting in one of the best exclusive adventures on the PlayStation 3. 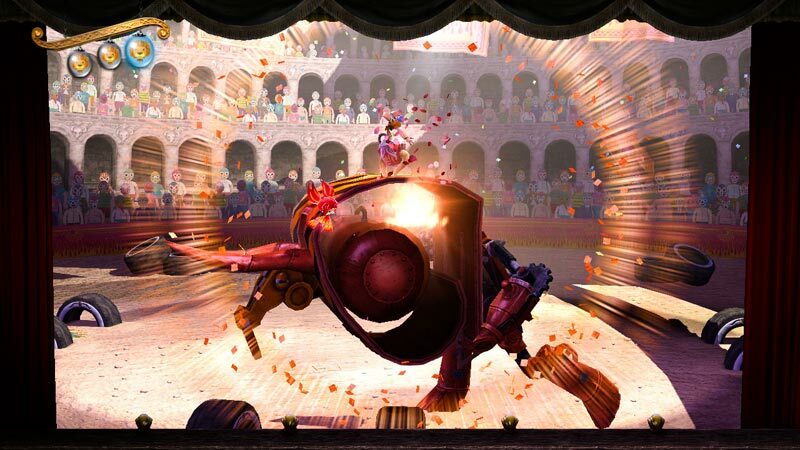 Aesthetically, Puppeteer has a lively style that changes with its surroundings incredibly well. Dark, underground zones are designed with claustrophobic care, open landscapes have beautifully rendered maps, and the whole game has a feeling that you're playing with toys as a kid again. This couples well with the fact that the narrative is enriched with adult themes which are interlaced so well beneath the surface of the script that younger kids won't even notice; really, this is a genuine family game, and you can play it with another person. Puppeteer is an excellent example of the 2D platform genre, but it wouldn't be nearly as memorable or enjoyable if it weren't for the way it so fully commits to its puppet show aesthetic. Leave Kutaro inactive long enough and the audience will become restless, murmuring and coughing in impatience. Spend too much time in the menu, and the narrator will remind the audience that there's excellent merchandise for sale in the lobby. Had I not been handed a copy of the Puppeteer for review duty I would have completely missed perhaps the most surprising title I have played this year. Puppeteer combines fun platforming gameplay, a playful narrative, and excellent presentation values. Oh, and if you have the ability to play this game in 3D I recommend that you make a point of it. At first glance, Puppeteer can easily be dismissed as a copy of one thing or another. It has a LittleBigPlanet feel, a dark art style reminiscent of a Tim Burton animated film, and stages and characters ripped right out of popular culture. However, a completely fresh game waits beneath the veneer of unoriginality. Players of all ages will enjoy Puppeteer. It’s one show you don’t want to miss. 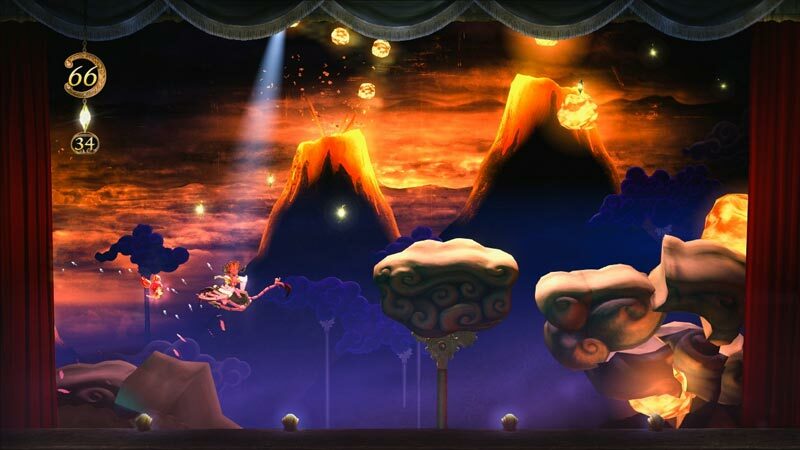 Puppeteer blends a groundbreaking visual style with demanding-but-gratifying gameplay to create a truly resplendent platformer. The eight-or-so hours you'll spend on Kutaro's journey are a joy from beginning to end, and completionists will eke out even more time if they can stomach a few errant annoyances. With such a vibrant atmosphere and fundamentally fun gameplay, Puppeteer is a cut above most contemporary 2D sidescrollers. Puppeteer is a little quirky, perhaps even a little insane in places, but unashamedly so. And you know what? It works brilliantly. There's just so much to see and do, and so much joy to be had doing it. You can see the love that has gone into making this game in the gorgeous artwork, admire the attention to detail that ensures every level offers up something new for you to explore, and marvel at the imagination that has gone into crafting such a loveable set of characters and such a delightful story. Start to finish, this is a dazzling game. Puppeteer is a great game. The story is exciting, full of charming humour for all ages, and the gameplay also holds up and it never gets too frustrating, or leaves any doubt as to what to do next. It's an excellent choice for families looking for a game to experience together, and it's very suitable for inexperienced gamers. That said it's not without merit for a veteran gamer as the story and presentation alone entertains. A great scissors mechanic. The story grabs tightly and doesn’t let go. Excellent voice acting. Visually stunning. Loads of unlockables. Puppeteer is a delightful platformer whose attractive patchwork visuals and fairytale-style story are complemented by great voice acting, clever presentation, and a neat gameplay twist. Aceptando su tempo, sus reglas y novedades en el género, como es el sustituir un usual doble salto por el avance mediante las tijeras, encontramos un gameplay que, conforme va aumentando en mecánicas se va volviendo más divertido y planteando más retos, aunque el esquema contra algunos Jefes Finales se repite y los QTEs finales no sean tan emocionantes como el enfrentamiento. Pero todo palidece en comparación con la pátina visual y sonora que claramente se adueña e influye en todo el conjunto. Los desarrolladores de SCE Japan Studio ratifican su excelente estado de forma con Puppeteer, un original videojuego de plataformas que nos ofrece su particular interpretación sobre las reglas fundamentales del género. Saltos y uso de gran variedad de habilidades en un escenario teatral cambiante, ingenioso y con una duración elevada. La obra tarda en arrancar, y también en ganar dificultad, pero su concepto es tan innovador que bien merece la pena adquirir una entrada para jugar en este particular teatro plataformero sólo disponible para el público de PlayStation 3. Im Grunde ist alles drin: geschickte Akrobatik, das Beherrschen vieler Fähigkeiten, knifflige Passagen sowie jede Menge Abwechslung. An den häufigen Szenenwechseln übernimmt sich Der Puppenspieler allerdings, denn oft rast Kutaro unversehens einer Gefahr entgegen, viele spielbare Abschnitte sind zu kurz und in der bunten Umgebung gehen selbst wichtige Details schnell unter. Uninteressante Reaktionsspiele entwerten zudem kämpferische Höhepunkte, präzise Bewegungen sind nicht immer möglich. Puppeteer est avant tout un titre très frais. Original, doté d’une direction artistique exceptionnelle (comme c’est le cas bien souvent pour les jeux du studio Sony Japan), d’un univers inspiré et d’idées de gameplay franchement sympathiques, ce nouveau titre ne devrait pas trouver uniquement sa place dans la ludothèque des papas ou des grands frères gamers. Para um género que parece cada vez mais ver a sua margem de progresso relegada para o formato digital, Puppetter é a resposta do Japan Studio aos fãs que não querem perder de vista um bom desafio clássico de plataformas. Mais do que isso; é também a definição muito segura de uma aventura plena de interactividade e notável sentido artístico. Com as tesouras voadoras, o jovem Kutaro não imaginava poder voar alto e ir tão longe, atravessando florestas, desertos e mares, e qual não será a sua surpresa, para gáudio da plateia, descobrir como a lua é vasta e mágica. La capacità di riscoprirsi spettatori estasiati, in Puppeteer, conta quanto una sforbiciata ben riuscita o un boss fight portato a termine come si conviene. Rapiti al suo interno, ammirati dinanzi al sistema d'illuminazione che gioca con ombre, sagome, romanticismo nipponico e una tonnellata di vividissimi colori, ci si dimentica di qualsiasi discorso sui livelli di difficoltà e di altre supercazzole videoludiche proprie dei tempi moderni, sospesi in perfetto equilibrio nel ruolo di spettatori, giocatori, attori che manovrano le marionette in scena e pubblico in sala.